Seeking new mod reviews/spotlights, as so much has changed. Some notable authors of previous spotlights include iPodmail, GameChap&Bertie, MinecraftScorpion, and minecraftwb/LuclinFTW. The Seasons Mod adds the four traditional seasons to Minecraft. The Seasons Mod is SMP-based, and all clients connected to a server running the mod will experience the same season at the same time, within the same world/dimension. By default, the seasons each last seven Minecraft days, but their durations can be changed per- world/dimension. When creating a new world, or loading a world that hadn't been loaded with this mod previously, the world will start somewhere in a random season. By default, an overlay will appear when transitioning normally from one season to another, but this can be disabled by the server (both for SSP and SMP). It is commonly believed that users must restart the game when switching between SSP and SMP, but that is a misconception. The Seasons Mod supports SMP usage in both integrated and dedicated form. All clients will experience the same season at the same time, for the same world/dimension. The Seasons Mod is intended to be run on pure-Forge servers, but can be used on Forge-Bukkit hybrid servers such as Cauldron. Please note that The Seasons Mod may disable certain Bukkit hooks on such hybrids. The Seasons Mod adds a command for quick basic server maintenance. If you find a bug, please use the mod's GitHub issue tracker. The Seasons Mod does NOT support usage with Optifine. 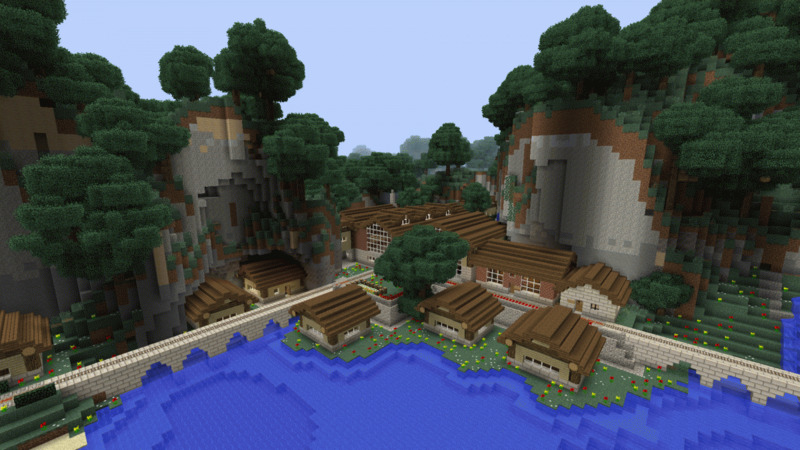 Optifine destabilizes and de-optimizes certain parts of Minecraft that The Seasons Mod uses. There will not be a crash - instead, using the two together will result in an atypical [not normal] experience. The Seasons Mod is not the only mod with this "problem." While it is possible to play with both mods together and not realize there are any issues, problems that are reported involving Optifine will likely be ignored (due to Optifine). The Seasons Mod is compatible with mods that add biomes. The Seasons Mod is compatible with mods that add crops. Added crops may or may not support all/some/any of the seasonal crop settings, depending on how the crops are coded. However, not all crop types are supported, yet, either. The Seasons Mod is compatible with Better Foliage and similar mods. The Seasons Mod is compatible with world generation mods. The Seasons Mod is compatible with mods that add dimensions. Every dimension is logically separate from the others, and is configured separately. Some dimensions have low fps, which should be reported with one of the repeatedly-logged stack traces. The Seasons Mod is not fully compatible with mods that increase the world height. Certain parts of this mod will not function correctly when used with any such mod. Any mod that lets blocks be placed below y=0 and/or above y=255 counts. The Seasons Mod is mostly compatible with Bukkit. Some Bukkit hooks may be disabled by The Seasons Mod. This mod still requires Forge, even when Bukkit is installed. The Seasons Mod is somewhat compatible with time mods. For now, The Seasons Mod does not communicate with, nor interact with, any time mods. It is being reworked for future compatibility and cross-integration with such mods. By downloading and/or using this mod, you agree to be bound by the Terms and Conditions below. MOD - modification, a piece of software that interacts with the Minecraft game to extend, add, change or remove original capabilities. OWNER - The_WeatherPony, Original author(s) of the MOD. Under the copyright terms accepted when purchasing or using Minecraft (https://account.mojang.com/documents/minecraft_eula) the OWNER has full rights over their MOD. Remember about the Requirements section. Updated Apache POI dependency downloading for updates. Allows new users to play the mod. Now distributed as a jar and can be installed into the mods folder without experiencing a Duplicate Mods issue. Will stop the game from loading with a Missing Mod report when used without PML. Internal changes from in-development pre-3.0 beta14 -- changes are not exposed and have been disconnected whenever possible. Fixed seasonal base command's tab completion -- "/seasons"
Q: Why/How is this incompatible with Optifine? Why do you hate it so much you go out of your way to make it incompatible? A: Optifine overhauls vanilla rendering, and The Seasons Mod deals a fair bit with rendering. Long ago, Optifine decided to "optimize" several of the sections for rendering that The Seasons Mod uses and relies on. I've reached out to Optifine's creator, but gave up after he gave repeated suggestions of deoptimizations. At this point, I never check if Optifine is installed directly; I only check if the code is borked, which strongly hints that it's installed. Q: What is a "file-mirror?" A: A re-upload of a file so it can be downloaded from somewhere else, often used through/by another website. I do not allow them for The Seasons Mod, as it amounts to nothing more than mod theft (mod stealing / mod plagiarism). See stopmodreposts_org (replacing the underscore with a period) for more information. Think 9minecraft, etc., etc., etc. Q: If I can't file-mirror, how can I share this mod's files with others? A: You can link directly to this page. You can also link to individual versions of the mod using the links I provide, if you really want to, since I keep them working. If you do this, though, don't refer to a version as "The Seasons Mod for [insert Minecraft version here]" or any similar name, as I make between one and fifteen (roughly) versions of The Seasons Mod per version of Minecraft - it gets very irritating when users come to me complaining about bugs that I had fixed nearly a year beforehand. I also approve of mod packs that contain multiple mods. Q: Why did you add a TaC? A: After my first year of modding being filled with frustrations, I grew tired of dealing with file mirrors and people that didn't understand vanilla Minecraft functionality. A: Yes. Just remember that a "mod pack" with The Seasons Mod consists of more than just The Seasons Mod and it's dependencies - it must have other mods, too. Q: Can I do a Let's Play video/series with this mod, or do a mod spotlight? Q: I have a suggestion! A: Please put your suggestion on the mod's GitHub. If you have more than one suggestion, use one report per suggestion and one suggestion per report. Also, please explain what you're suggesting in sufficient detail. Q: How many people use this mod? A: I don't know, mostly because of file-mirrors and language barriers. My guess is between 11k and 40k people worldwide. I came to this guestimate because there was an average of about 12k downloads through the official download link in a month in my first year, when I released several versions per month. Of the half of that which went through the ads, more than half are from countries where the official language is not English (which are less likely to go with an English site when downloading). I also had many unwanted file mirrors drawing in large numbers of my users (based on their publicly viewable download counts). RAWRMaD, for assisting Trak in updating and maintaining the mod before graciously letting me take over. It is a great honour to me to update, lead, and shape the legacy that has become of The Seasons Mod. I would also like to thank everyone that made the content that is (and will be) posted above and below, both on this and other pages of this thread or related threads; and everyone that helped discover bugs, letting me focus on writing code. Additionally, I want to express a huge thank you to my donators. When the time comes, I hope to make it up to you for your selfless act. By all means, TheFFFUUUguy. This mod hasn't had any new publicity or updates for a while, so I would love it if you would. Will this be updated to 1.3.2? It's good to see this mod live and healthy again, thank you for taking over. Hope I'm not too late to tell you this, but my name is pronounced by spelling it out quickly. If I'm too late and you've already recorded, then, oops... my bad. But I don't think I've ever met someone that pronounced it correctly the first time they saw me. EDIT: changed name. This pronunciation was for the old, not the new one. It will be... but there are things that need to be done first such as turning it into a Forge-based mod and a slew of under-the-hood changes. I might make a promotional (non-supported) version for 1.3.2 after making this for Forge, but no guarantee on that. The changes will be well worth the wait for a supported 1.3.2, trust me. In the meantime, don't use this with Forge if you want the world to look it's best... the two don't play perfectly together yet. It's not a crashing issue, but Forge doesn't let mods do what this one tries to. I'll explain more when I make the Forge update. EDIT: Made a compatibility patch for Forge build 152. If you want to use the banners and my signature for this OP, you may. Special thanks to Brockwurst for this fantastic job! I feel like an evil scientist now. Imma go dissect something. First 24 hours of the thread have passed. (This was just after the 24 hour period.) 13 replies, 400 views, and 55 downloads. I started looking through Forge, and am overwhelmed for now. The feeling'll pass, but just in case, in a few hours from now, I'll try to whip together a compatibility patch so it can be used with Forge mods sooner, even though it wouldn't be a Forge mod itself. Making it Forge-based is still going to be my next major checkpoint, though. I cannot express to you the amount of love I am feeling for you right now. Made a compatibility patch for Forge 3.3.8 build 152 and added it to the download list. It's only a patch, and still requires v2.1. I also noticed if you're using optifine, if you have Natural Textures on, it crashes your game. I don't know if this is useful or not. OpenGL: ATI Mobility Radeon HD 4570 version 2.1.8202 Release, ATI Technologies Inc.
Dogtag93, I'll look into Optifine soon. I don't know if it's helpful or not, but thank you. My gut instinct tells me, however, that it's how temperature or tree leaf colors are currently calculated that's making you crash. Those section are two of the changes I'm planning to make before porting to 1.3.2, as they are currently hard-coded for each biome and leaf type. EDIT: gave it a mod_ file and replaced it's download link. If you use magic launcher try taking off all other mods besides mod loader and tell me if that works. What biome are you in? Looking at the code, it doesn't snow in Jungle, JungleHills, Desert, or DesertHills. I'll re-add some debug code if you aren't in a Jungle or Desert to try to find what's going on. But when you entered Winter, did a graphic that says Winter come up? When first using the mod, the code makes it the first day of a random season, and I haven't had the patience to play with it for the hour to two hours to find out yet. Everyone, the (new) compatibility patch for Forge now will show up in logs. If you're using Forge, you'll want to use this patch, or else strange things could happen. Just to reiterate, even though this patch lets this mod work with Forge, it is not a Forge mod. Compatibility with other mods is not guaranteed, so make backups of everything. Still test it with other mods, though, so I know about any issues, please. Could you try using only Forge, this, and the Forge compatibility patch? Better yet, I'll just take what I have for the next version and post it. Version 2.1.1 will be available shortly. And Dogtag93, I made another world to do a quick test for bugs and it happened to be in Winter, so I saw what you meant. I'll try to find what's causing it. Again, thank you for the heads up. BTW, I haven't looked into Optifine, but did make the Seasons Watch and Thermometer HD texture compatible.